The house was built in approximately 1891 by James Crimmen, a wine and spirit dealer who lived in The Manor House, No 65 High Street. He sold it three years later. Margaret Stacey has undertaken extensive research on this building and its inhabitants and owners. Please click here to read it. Mary Ann Waldorf - purchases the house from CSSM for £1200. Mrs Waldorf, whose second husband is Max Waldorf, is also the proprietor of the Marlborough Hotel, Centre Cliff Lodge and a hairdressing business at No 39 High Street. This same year, she and her daughter, Muriel, become victims of a notorious fraud case which becomes known as 'The Wenhaston Millions' To read an account of it, Click here. Miss M A Moss, LLA Hons, Teach Dipl. - Proprietor, headmistress, 'Roses Way' School. 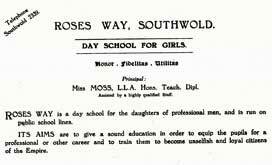 The prospectus describes the school as a 'Day School for Girls'. Miss M A Moss - Proprietor, headmistress, 'Roses Way' School. By 1953 the school has modified its admission policy, describing itself as an 'Independent school for girls and small boys'. George & Lilian Parry who run it as a private hotel. The Parrys already own the Centre Cliff Hotel. 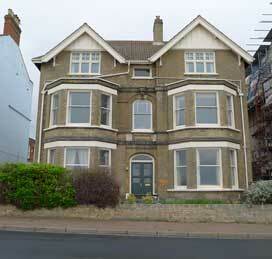 George & Lilian Parry purchase the freehold and convert Strathmore into residential units. Front page of the school prospectus, probably from the late 1940s. Kindly supplied by Hilary Huckstep. Click the image to read the full brochure. 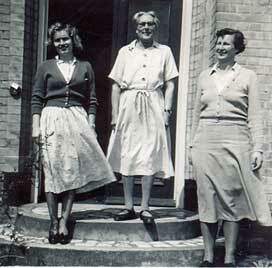 Roses Way staff in 1953. Headmistress, Miss Moss, is in the centre. Mirs Routledge on the left and Mrs Waller on the right. 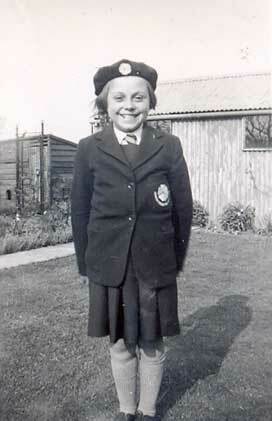 Diane Wyatt was a pupil at Roses Way from 1949 to 1955 when she left aged 11. "Our school uniform was maroon with a pink rose badge on the blazer and beret. In the summer we wore straw hats with our summer dresses. 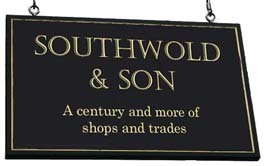 We used to purchase our uniform from Grimwades in Ipswich. The pupils were divided into two houses, namely, Nelson (blue) and Wellington (green).....I was in Nelson house!" 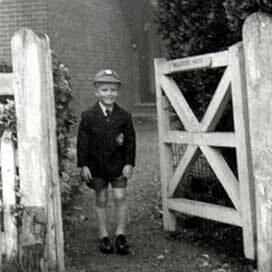 Peter Parke, seen here in his school uniform, was a pupil in the mid-50s. 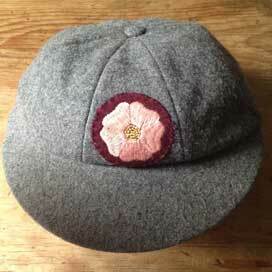 Below, his cap with Roses Way badge. He writes "I seem to remember spending a fair bit of time on the beach or prom. when the weather was good, so I don't think we were worked too hard, and were kept well-aired." With thanks to Peter Parke for the two photos above.